Rotary Club of Keynsham - Welcome! 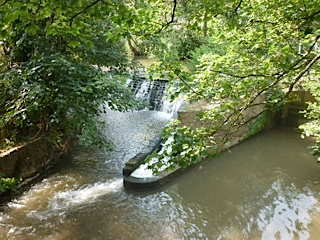 Water power was key to the Keynsham brassmaking industry. Keynsham Rotary is a small friendly group of 20-30 members including both Women and Men. We come from diverse backgrounds and professions. We meet socially, to establish long term friendship and to serve the community in a number of ways. We meet weekly on Wednesday evenings from 19:00 - 21:00hrs at Saltford Golf Club, Golf Club Lane, Saltford, Bristol BS31 3AA. General meetings run to a format including a two course meal (optional), informal conversation and business of the day with input from president, secretary and various post holders. Frequent meetings include a speaker with subject matter being predominantly of local interest such as local government, education, business and charitable issues. Business (Council meetings) meetings are held every four weeks. This is when members with responsibilities within the group (President, Secretary, Treasurer etc.) report back to the membership alongside discussion and agreement of policy . We have a wide catchment area with members currently coming from Whitchurch, Longwell Green, Willsbridge, Timsbury, Bath and Knowle as well as Keynsham and Saltford. Both Genders play an important part within Rotary. Keynsham Rotary warmly welcomes men and women both as Full Members or Associates and as speakers at our meetings. If you are interested, why not come and meet us? Try us out for a couple of weeks. You are assured a warm welcome. Supper at 19:00hrs followed by speaker Bryn Hawkins on the subject of "Boy to Man in the Somerset Coalfield". Meet at 19:00hrs for committee discussions. There is no formal meal but food may be ordered from the bar. Supper at 19:00hrs followed by speakers Best & Adam Ifans on "You can't judge a book by its cover"
Supper at 19:00hrs followed by AGM. Members & Associates only.